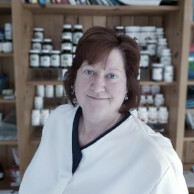 Debbie uses muscle testing to identify problem areas in the body and uses a combination of therapies to re-balance and treat issues that have been detected. Treatment methods may include: natural nutritional supplements, dietary advice, lymphatic massage, acupuncture meridian work (without needles) and stress management. Debbie treats all health issues, and has a particular interest in digestive conditions, such as IBS, food sensitivities e.g. gluten intolerance, and allergies such as eczema, hay fever, asthma and psoriasis.